Take the time to pamper your hands and feet. 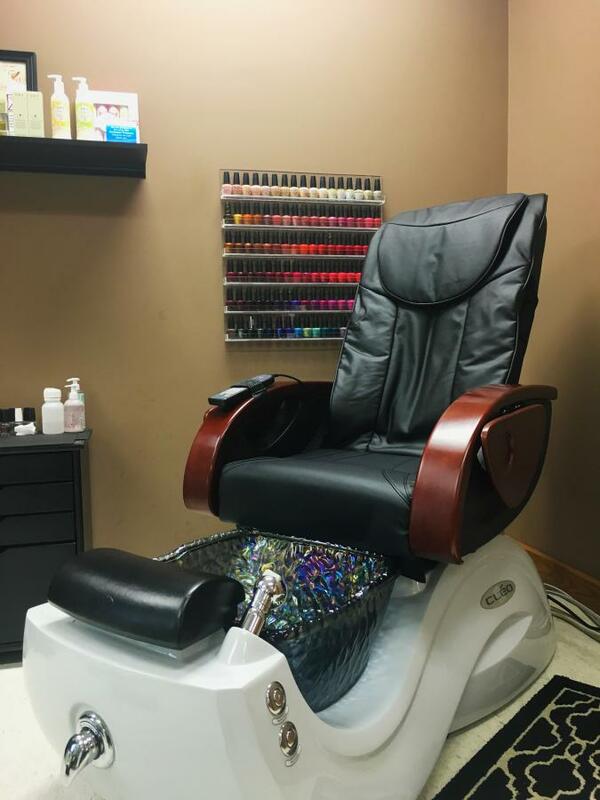 Whether it’s a special occasion or just for fun, a spa manicure or pedicure can leave you feeling both refreshed and beautiful. We have a color to fit any occasion in our collection of OPI nail lacquers. 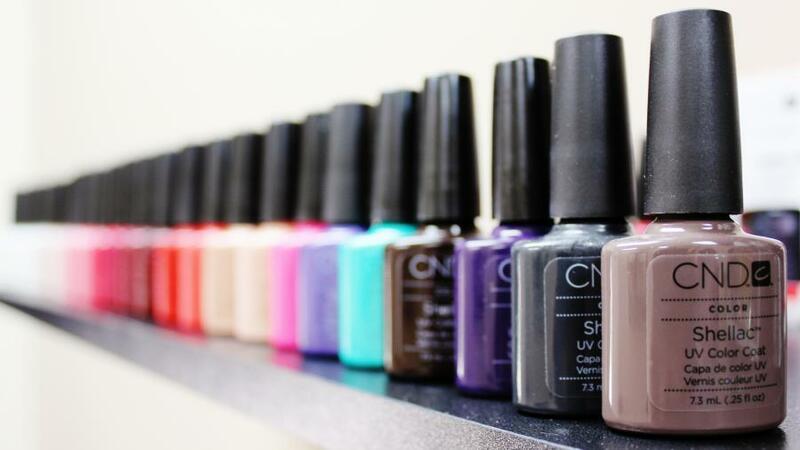 We also offer CND Shellac gel polish in a variety of color choices! If just a simple change of polish is all that you need. Try CND Shellac with your manicure! This amazing gel polish uses a special UV lamp to cure. Flawless wear, superior color and mirror shine with zero dry-time and no nail damage. It does not chip, and can last 14+ days! Darken and define your lashes or brows. Go mascara free and still have electrifying eyes! These eye enhancing treatments are a great way to avoid the smudged "raccoon-look" after summertime sweating or swimming. Various colors are available for tinting services. Allow 30 minutes for eyelash or eyebrow tinting. Eyelash and eyebrow tinting lasts about 4 to 6 weeks. Yes, neither will affect your tinting. If you wear contact lenses to your appointment, you will have to take them out while your lashes are being tinted. Enjoy soft and smooth skin after a waxing or sugaring experience. Waxing and sugaring are both convenient and effective methods to remove unwanted hair on all areas of the body. Our professionals take the time necessary to shape beautiful brows! Your hair should be at least a quarter of an inch to a half inch long for waxing or sugaring. If the hair is too long, we advise trimming it back to about a half inch; sugaring hair that is too long can cause more discomfort and hair breakage. Sugaring, an alternative to waxing, gets its name from the sticky sugaring paste used. Sugaring is much faster than waxing, and the experience more comfortable. Unlike strip or hard waxing, sugaring paste won’t adhere to live skin cells, so there is no trauma to the skin, so sugaring is more gentle and preferred for areas that tend to be more sensitive. The hair is removed in the direction of growth, resulting in less breakage. Sugaring is great for removing unwanted hair from all areas of the body – arms, back, legs, and especially sensitive areas such as underarms and bikini/brazilian. Sugaring/waxing lasts far longer than shaving because the hair is removed at its roots, not cut. Typically, clients schedule appointments every 3 to 6 weeks depending on the individual and the area of the body. Avoid touching the area, as dirt and oils can cause irritation. Avoid direct heat (hot baths, tanning, etc.) the day of and day after. Excessive perspiration following sugaring or waxing can harbor bacteria that may cause breakouts, so avoid intensive exercise for a day or so. We highly recommend Finipil to prevent any skin reactions resulting from waxing or sugaring. Finipil is a noncomedogenic (meaning it doesn’t clog pores) antiseptic cream that protects against infection (in-grown hairs) while soothing and moisturizing the skin. We love it and have it available at New Skinsations. "I have super sensitive skin and can't do waxing. Sugaring is great! It's different... it is more gentle on my skin and doesn't cause irritation like waxing always did. I'm so glad I found this alternative!" "I have never had waxing done before and was really nervous. My esthetician at New Skinsations instantly made me feel so comfortable. I am so happy I got it done!" Relax and escape the stress of a busy day with a therapeutic Swedish massage. Massage restores vital energy that reduces stress and increases circulation via soft tissue manipulation. Nurturing long, kneading strokes make this massage perfect for anyone. 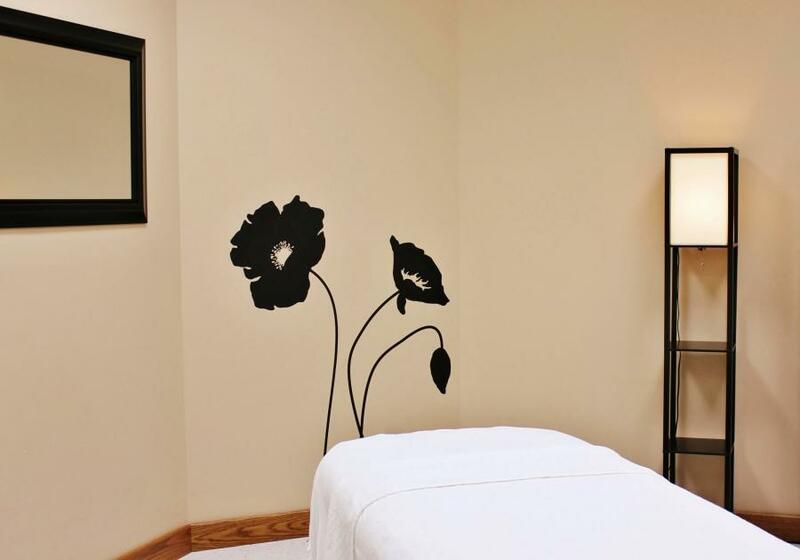 Massages can be customized so you can get the most from your body work. Exfoliate and Shave. Shower the day before your tan appointment to shave and scrub any dead skin away. Exfoliating and shaving prior to a spray tan will help prolong its appearance. Shaving excessively after a spray tan may make it fade prematurely. Shave 8 hours before or wax a minimum of 24 hours before your tanning appointment. Wear dark, loose fitting clothing and undergarments. The tan will take a few minutes to dry immediately after and you will want to wear loose fitting clothing so that you minimize rubbing. The tanning solution may have a cosmetic bronzer in it, so you may want to wear dark clothing in case the bronzer rubs off onto clothing. It will wash out of most fabrics but may stain nylons, lycra, and silks. Remove or avoid wearing makeup and moisturizer as this acts as a barrier to the spray and stops the process from working properly. If you forget or don’t have time to remove your makeup, you can always do so after you arrive for your appointment. It is recommended that you wait at least 8 to 12 hours before you shower after a spray tan. During this time, avoid getting wet in any way, including your hands to prevent uneven coverage. Avoid exercising until after your shower because friction and sweat can affect the development of your tan. When you shower, do not be alarmed if you see color washing off, the color you see is not your tan washing off, but only the cosmetic bronzer. Bronzer is used so that you can see where the tan solution has been applied. It washes right off at the time of your first shower, leaving your skin with your golden tan. A spray tan usually lasts 7 to 10 days. You can use Fantasy Tan's Tan Extender to make it last even longer. Apply moisturizer morning and evening after your post-tan shower. Avoid moisturizers with AHA (Alpha Hydroxy Acid) because they promote exfoliation. This includes many fragrant lotions. Avoid long, hot showers and baths, and scrubbing the skin. Refrain from rough scrubbing or rubbing by gently washing and patting dry when you bathe or shower. Avoid excessive shaving, and if you do need to shave, use a sharp, clean razor, with a lubricating product. Chlorine in swimming pools and hot tubs can strip and shorten the longevity of your tan. "My spray tans always look so natural! It's fast, easy and very professional. I highly recommend New Skinsations to anyone looking for spray tans." "Airbrush tanning is so much better than a booth! I love that they never miss a spot. It's never streaky or uneven and always looks great."